Commercial buildings account for almost 20% of the total U.S. energy consumption, and 10-30% of the energy used in commercial buildings is wasted because of improper and inefficient operations. While sophisticated energy management and control systems are used in large commercial buildings to manage heating, ventilating, and air conditioning systems and components, many buildings are not properly commissioned, operated, or maintained. This lack of proper operation and maintenance leads to inefficiencies, reduced lifetime of equipment, and—ultimately—higher energy costs. 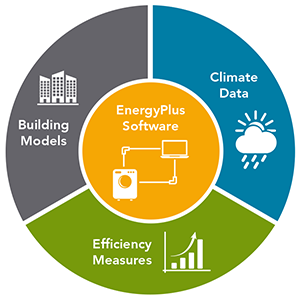 Our researchers have developed a Building Re-Tuning™ approach to detect energy savings opportunities and implement improvements. To put this methodology into practice, we offer resources for both large (>100,000 sq. ft.) and small (<100,000 sq. ft.) buildings as well as an online interactive training curriculum. The training provides building operators and managers, as well as energy service providers, with the necessary skills to identify and correct no- and low-cost operational problems that plague commercial buildings. By taking basic steps to improve operational systems within offices, schools, and commercial structures, U.S. energy consumption could decrease so dramatically that it would equate to 12 to 15 million Americans stopping their energy use altogether. 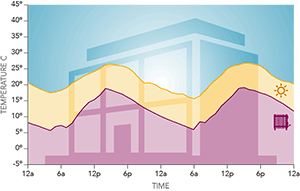 This potential outcome is one finding from Pacific Northwest National Laboratory's groundbreaking study, "Impacts of Commercial Building Controls on Energy Savings and Peak Load Reduction." In 2018, one of America's most iconic and energy efficient cities will require that large commercial buildings receive periodic tune-ups. 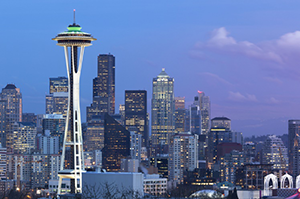 Seattle is currently partnering with DOE and PNNL to give building owners a head-start. How'd we get here? 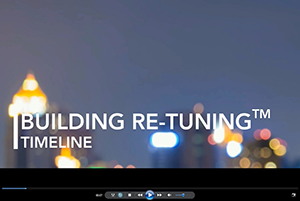 Our video timeline chronicles the events leading up to Seattle's decision to implement PNNL's building Re-tuning™ methodology. A new report issued by researchers at PNNL—and sponsored by DOE's Building Energy Codes Program—assesses the potential impact of building energy codes through 2040. The study shows that big savings in energy and offsets in carbon emissions can be achieved over the next 25 years if model codes are enacted as law. Cutting air conditioning energy use by sending heat into outer space may not be such a far-out idea. Using new technology developed at Stanford University, PNNL researchers recently found that daytime radiative cooling—the physical process by which an object loses heat to another object of lower temperature—could reduce energy consumption of an office building by 30 to 50 percent. The ACEEE Summer Study on Energy Efficiency in Buildings continues to draw a diverse group of professionals from around the world—including a large contingent of PNNL researchers—to discuss building energy use and actions to reduce climate impacts. 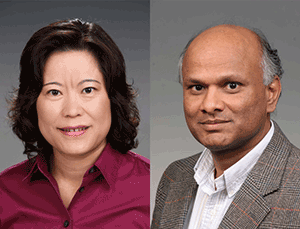 This year, more than 30 researchers from PNNL represented their research in the areas of residential and commercial buildings technologies, performance analysis, codes and standards, capturing savings, and smart buildings.